Parties are my thing. I love thinking them up, I love planning out all the details, but most of all I love the joy that they bring to others. Last year, my middle son Beckett asked if we could have a Halloween party. At the time, I had just been diagnosed with cancer, but the thought of throwing him a party the next year, when I was to be mostly done with my treatments and hopefully feeling like myself again, was a nice goal to set. And so last night, my little guy’s wish for a Halloween party came true. We had the best time and it was magic for all my kids and their friends. 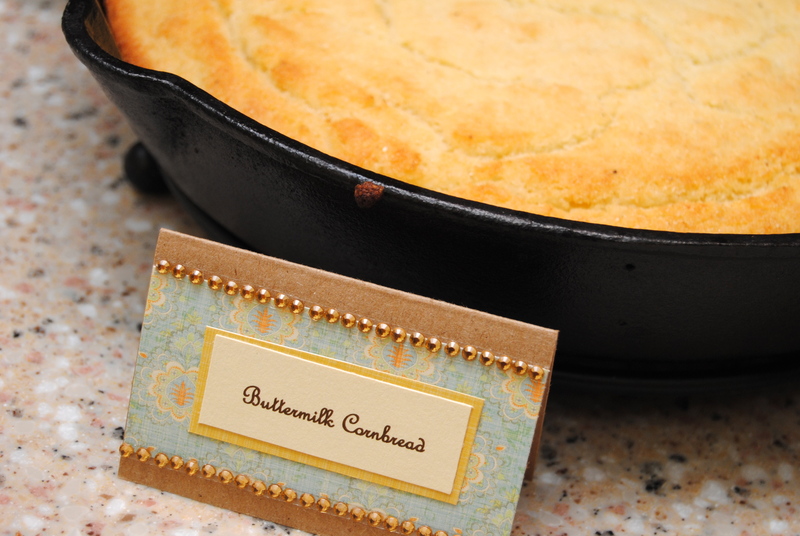 So I must point out that my blog tagline is “A blog about cooking, kids and trying to find the time to be crafty.” Well, it’s been 4 months of blogging, and I have yet to find the time to be crafty… until this baby shower. Hopefully more to come in the crafty department. 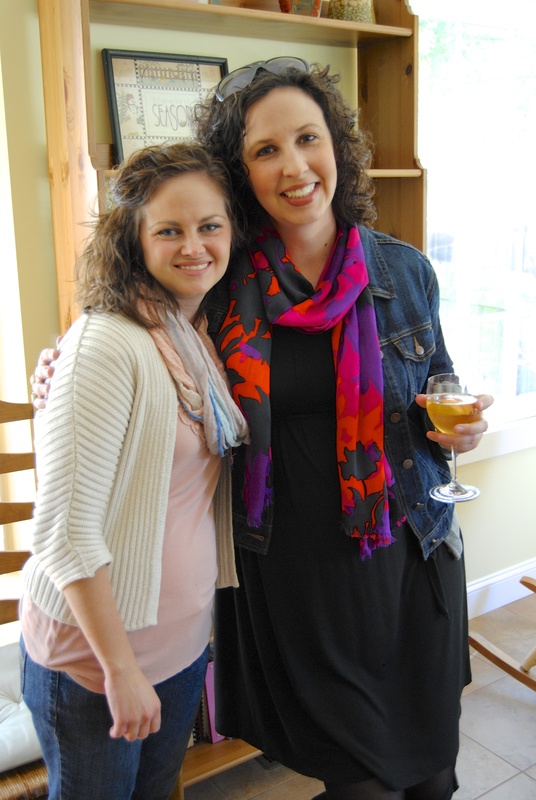 This past weekend I had the honor of co-hosting a baby shower for my dear friend and neighbor, Chantelle. 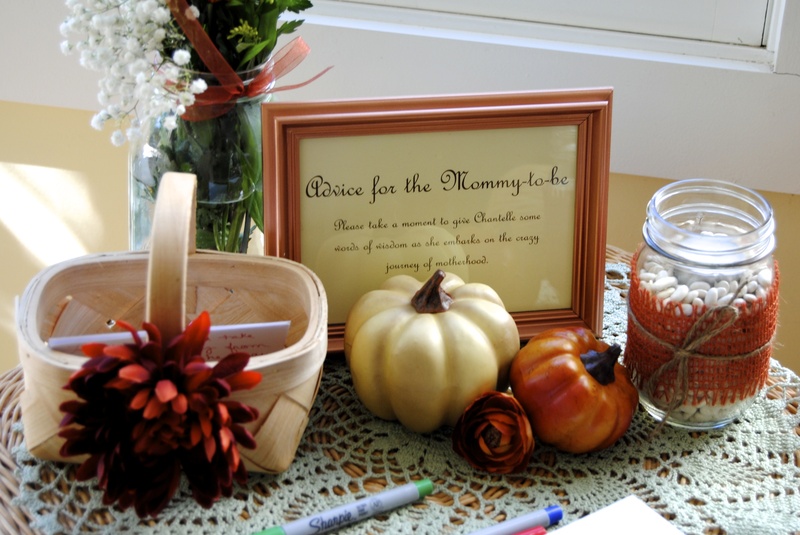 We decided to throw her a Little Pumpkin themed shower, but took it in a sophisticated direction. 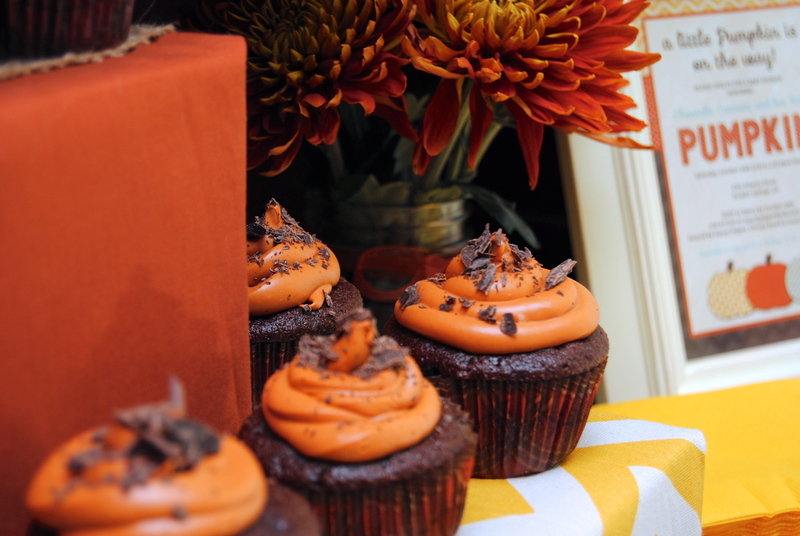 We focused on a fall color palette: gold, burnt orange, bronze, robin’s egg blue and burgundy. 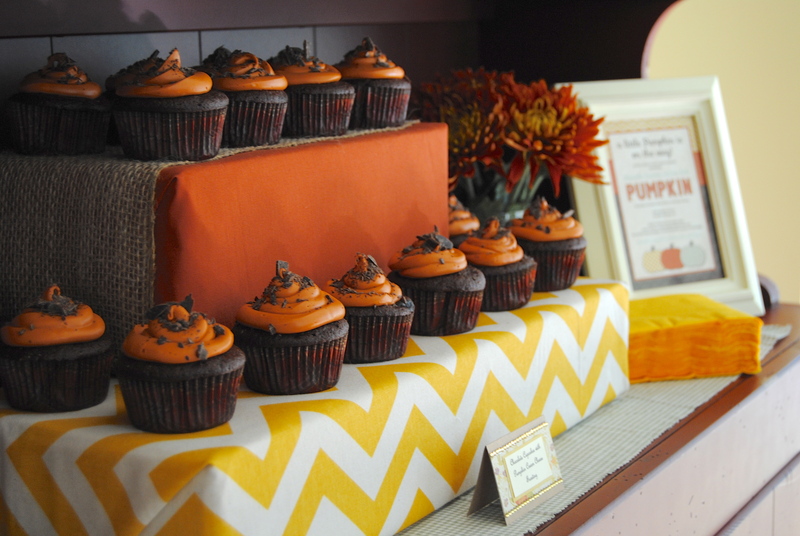 We used really fun fabrics – gold chevron, robin’s egg gingham, burnt orange and burlap. 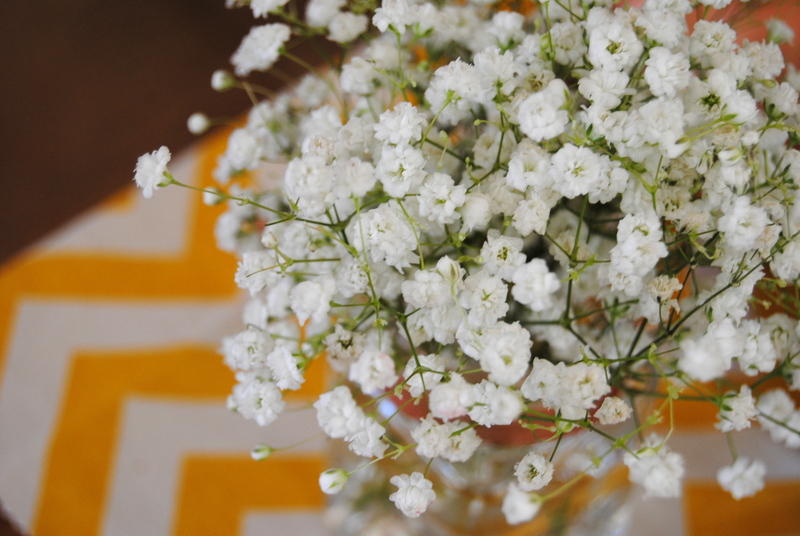 We accented with painted pumpkins and had a variety of simple flower arrangements. 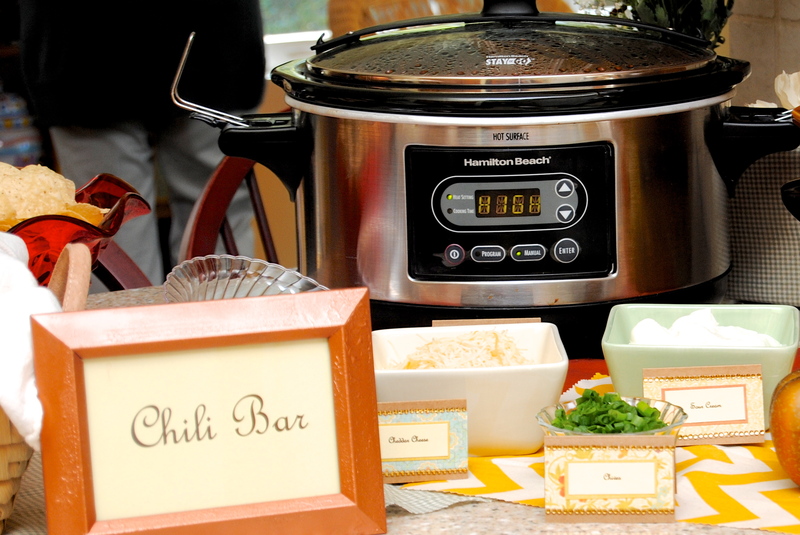 For food, our main attraction was a chili bar. We had vegetarian chili and meat chili and all the fixings you can think of: baked potatoes, corn bread, tortilla chips, french bread, cheese, crackers, sour cream and chives. 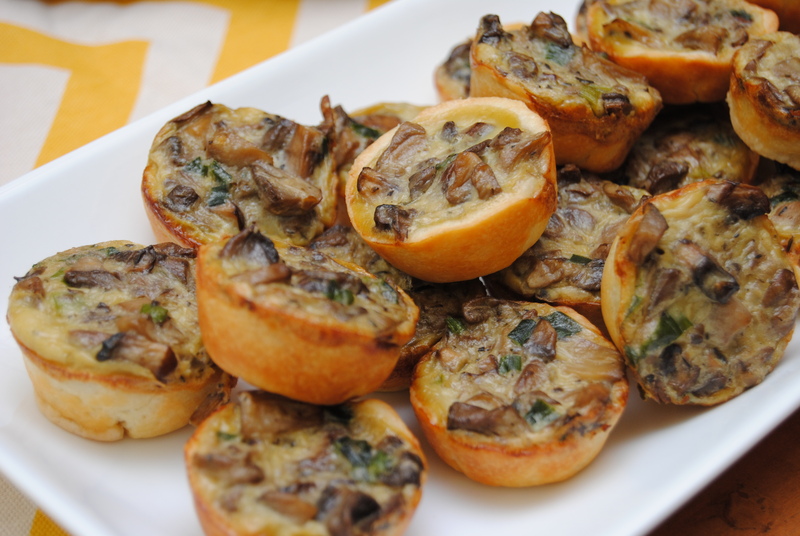 We also had a cheese tray, veggie tray, pretzels with mustard dipping sauces and mushroom onion tartlets. Our signature drink was an apple ginger sangria (in both the regular and virgin varieties). 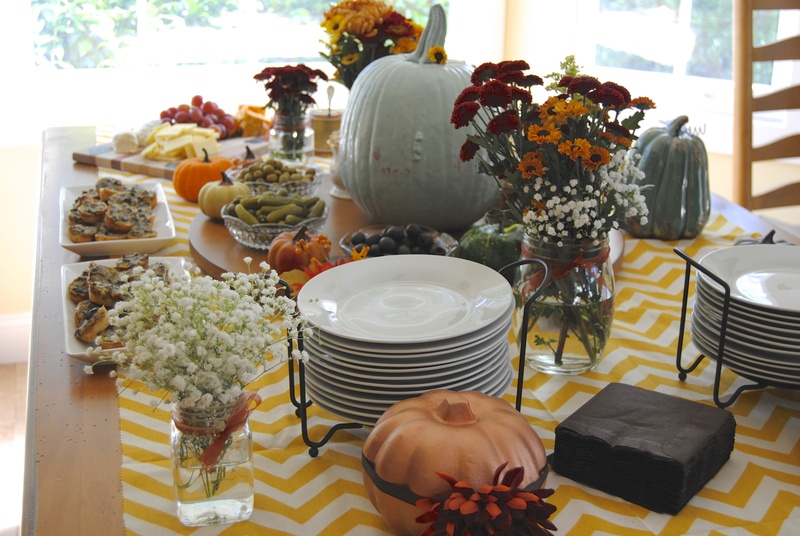 The spread – painted pumpkins, flowers and food! 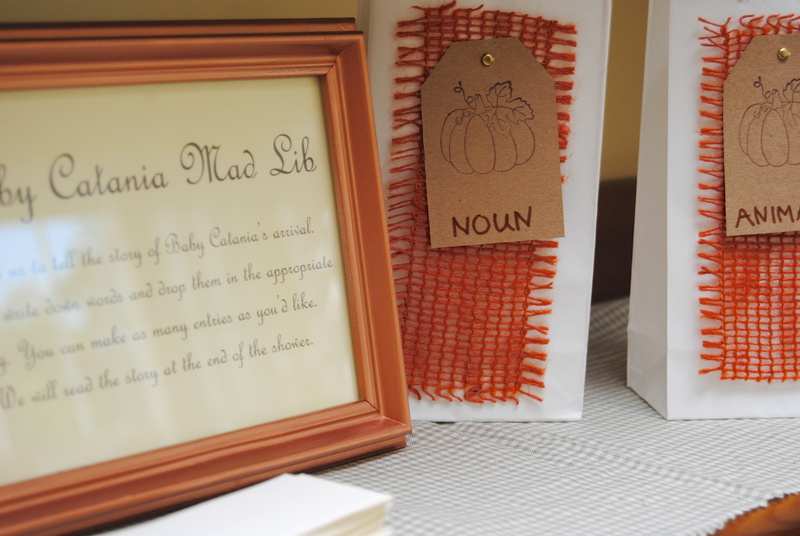 We played a Mad-Lib game – it told the labor and delivery story and was hilarious!! I made bags for each of the word types, had people submit words, and then I drew them to put the story together. 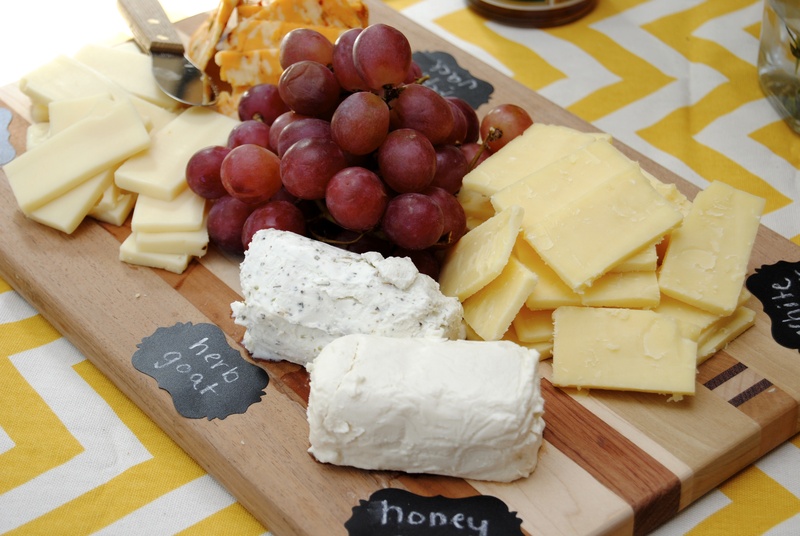 Love a good cheese plate! We had white cheddar, pepper jack, swiss, herb goat and honey goat. 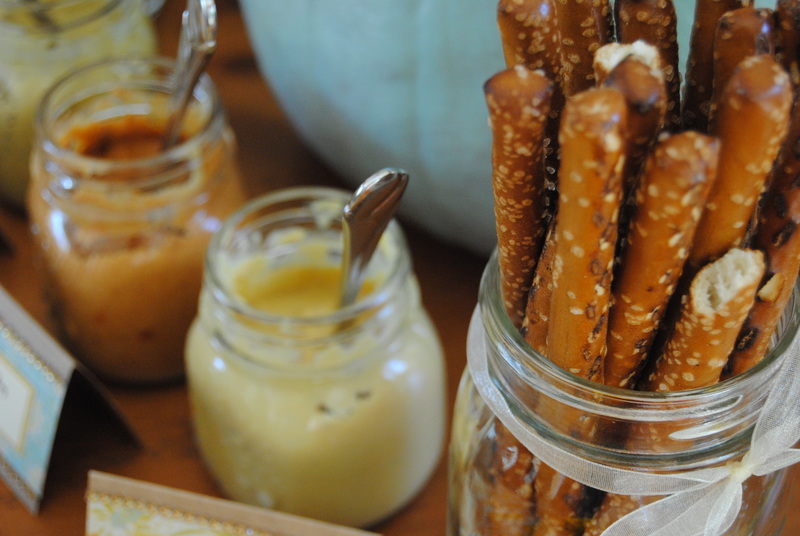 We also had fig preserves and an assortment of crackers to go with it. Delish! S’Mores station – The home we had the shower at was just beautiful and had an awesome outdoor fireplace. This worked perfect for our s’mores station! We also had an advice station for people to leave the new parents advice for the adventures of parenthood.